Miss. 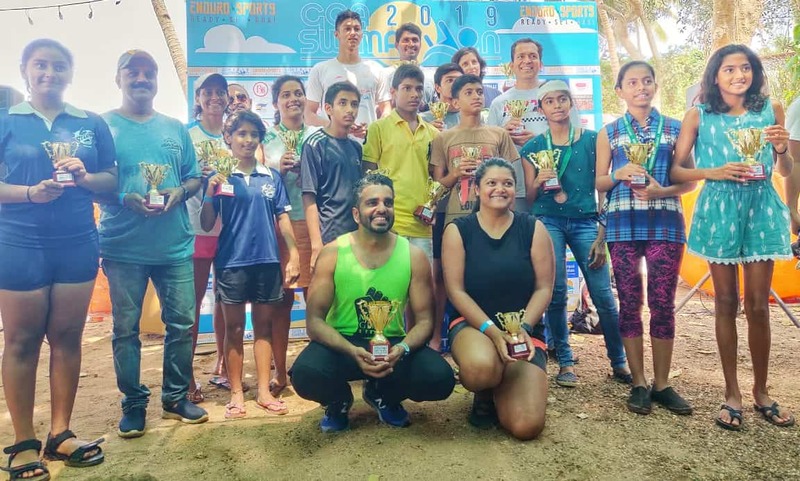 Ariaa H Sheth has proved time and again her merit as a swimmer and outdone herself once more as she competed in the Goa Swimathon 2019 held at Bambolim beach from the 23rd to the 24th March 2019 against all age categories comprising a total of 132 participants including men and women. The race covered a distance of 1kilometer. 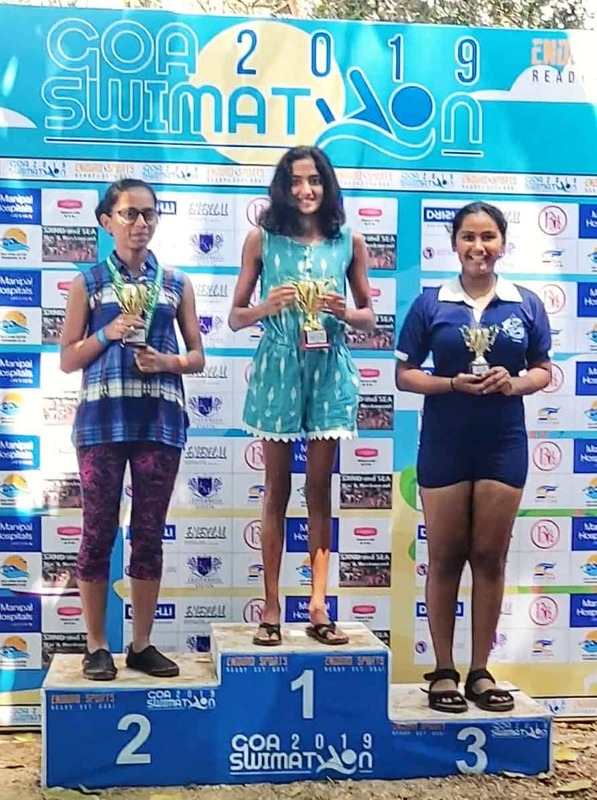 Ariaa won a Gold Medal in the U/14 girls category along with an Overall 1st Position among so many great swimmers. She was able to complete this strenuous race in an impressive time of only 14 mins and 53 secs. 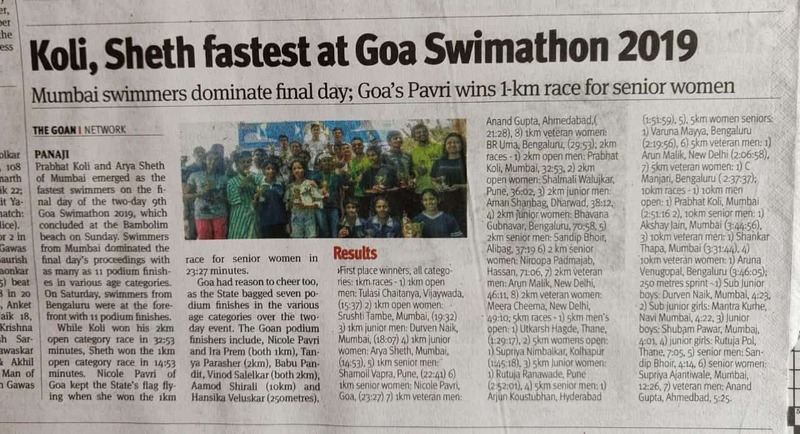 The details of the event were published in the local newspapers in Goa. 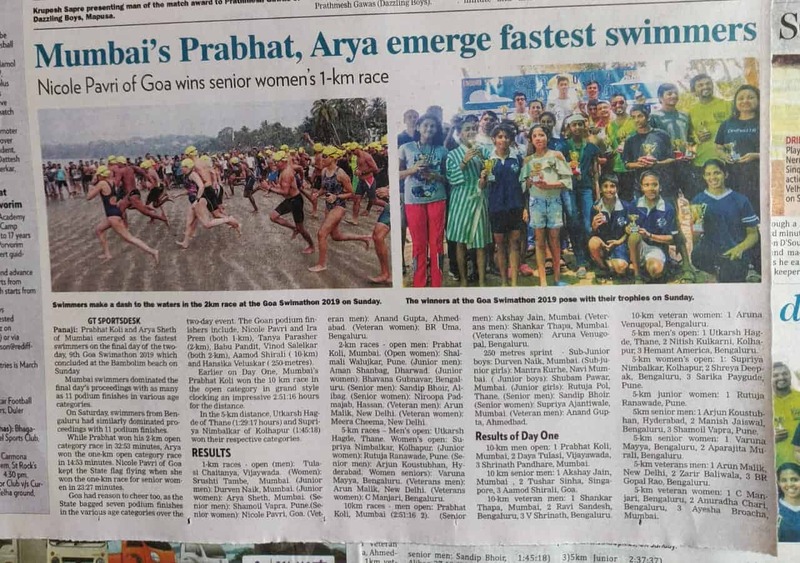 We are extremely proud of Ariaa’s achievements and congratulate her on this victorious win! !